it would change your life? Bring it to mind right now. and you have what you want. How has that changed your relationship with yourself? How has it changed your relationship with others? On the other hand, you’ve just seen how a change in just ONE area would have a ripple effect that positively impacts every other area of your life – your finances, career, relationships, health, and fulfillment. IF you have a system to focus your mind, clear your blocks and raise your energy. If you’re like most of the thousands of students I’ve worked with in my more than 20 years as a teacher, you’ve probably tried a lot of different systems before finding yourself on this page – Counselling and Life Coaching, Visualization and Manifestation, The Law of Attraction, Self-Help books and seminars. And you definitely feel better than when you started your journey of self-discovery! Either you’ve achieved a lot of success on the outside – yet you still feel a deep down longing for something you can’t seem to place. OR you finally feel like you have the inner peace and harmony you’ve always wanted – yet there’s a disconnect because the abundance you feel in your inner world isn’t translating into material success(or even stability). I’m so glad you’re here because I have some really good news for you. There’s another system that’s available to you – one that’s based on a technology that’s existed for thousands of years. This completely unique system of transformation is based on the technology of Kundalini Yoga, and the entire purpose of the practice is to unlock your full potential (your Kundalini Energy). If any one of these areas is missing, it creates disharmony that can show up as anxiety, discontent, financial instability, or other forms of dis-ease. This is what’s been missing. Fortunately, the universe is conspiring to get you back on track. You will experience change as quickly as Day 1 of the practice. You can sign up for the complete Self-Mastery Series, or the first course in the series Crystallize Your Vision. Once you get Crystal Clear on your dream and start moving towards it, you will experience blocks to your manifestation process. The Breakthrough Your Blocks course is situated in the Series exactly when these blocks begin to appear so that you can break free of the subconscious limitations that have kept you stuck for years. You will uncover and free yourself of outdated patterns of behaviour and addictions, and rebuild your self-worth and courage to create the life you’ve always dreamed of. Hurry! Registration closes May 1th. The Self-Mastery Series is for students new to yoga as well as those who have been practicing or teaching yoga for years who have yet to experience the transformative power of yoga. Although this course is not designed specifically for yoga teachers, the Self-Mastery Series is eligible for course credits. Not only will you learn a NEW way to practice yoga and NEW yoga teaching techniques, you will firmly establish the # 1 foundational tool for personal transformation… committed, daily practice. You will receive a certificate of completion after each course, so even if you don’t currently plan on teaching, these courses can count towards your Teacher Training course credits when you’re ready. Here it is… a formula that can change everything. Each course is 46 days in length, and consists of two parts. The intensity of your first six days is purposeful. You will be taken to your limits so you can transcend those limits! The targeted work of these Kundalini practices on your nervous system and glandular system will change you on a cellular level. You will feel different after each and every practice, and you will feel profoundly different after your six consecutive days of lessons. 90­ min practice video released each morning including a physical practice, active meditation + self­ exploratory written exercises. A powerful Kundalini meditation is assigned to you after your immersion to fully integrate and solidify the changes experienced in your first six days of practice. You must complete this short meditation every day for forty consecutive days. This meditation is unique to the Kundalini tradition and incorporates elements of mantra and mudra. This is where the biggest changes happen! You will complete the same 11­ min meditation daily for 40 days. If you miss a day, you start over! New 30-min practice videos will be released. Regular email check­ins to help you stay on track. There are 4 core components of this practice: breathwork, strong physical practices (that are also accessible), meditation, and guided self-inquiry. These work together to create change on a physical, mental and spiritual level. Change requires action, and the time to begin is right now. All you need is 90 minutes per day for the first 6 days, then 11 minutes per day for 40 days after that – all from the comfort of home. If you can’t join us for the live program dates, you can create your own schedule. Interested in teaching Kundalini Yoga? You can combine the online Immersion with other live trainings to receive your 200-hour certification OR earn course credit toward your 500-hour certification. Create a clear vision that inspires you, and rekindles your passion and excitement for life. Build an inner power so strong that you WILL break through your limitations – including any unconscious blocks getting in the way of the life you want. Accelerate your manifestation process, so your desires show up rapidly. Clear away any doubts, fears and confusion, so you can confidently ask for what you want – and allow yourself to receive it! Get ready to cleanse everything that stands between you and your dream! In this module, you’ll address what’s getting in your way – from fear and anger, to low self-esteem. As you release what weighs on your soul, you’ll feel lighter and stronger than you have in years. Your naval/third chakra is a storehouse of powerful energy. In this module, you’ll learn to channel that energy into an unshakeable commitment to show up fully for yourself everyday. You’ll burn through all obstacles, so you can turn your desires into manifested dreams. Consider this: maybe your dream hasn’t manifested because it’s not YOUR dream. It’s easy to get caught up in how others think you should live your life, but this isn’t ultimately what will fulfill you. In this module, you’ll bring clarity to your true passions – regardless of the opinions of others. Manifestation has two important components: action and receiving. In this module, you’ll create space for insights and guidance to come to you – and learn to tune into life’s synchronicities (which you can’t see when you’re in “go mode” all the time). Whatever you dream is possible! But obstacles WILL show up along the way. In this module, you’ll learn to see possibility where you now see only blocks. After all, challenges are simply opportunities for growth, and a test of how important this dream is to you. Now that you’ve cleared away your doubts, fears and confusion, you can confidently ask for what you want – and allow yourself to receive it. You no longer hold competing beliefs about your dreams, and can manifest your desires with confidence. Break free of the patterns that are keeping you stuck – and create NEW habits that support the life, career, well-being and relationships you desire. Drop your story… the persona you’ve unknowingly created that is keeping you from living authentically. Access your Kundalini Energy – your untapped potential – which gives you the stamina and strength to make your dreams a reality. Gain confidence in yourself and your ability to create change, even when old limiting beliefs show up and try to take you out of the game! Make tangible progress toward your goals that will inspire you to keep moving forward. Spend more and more time feeling calm, energized, and trusting that you are always supported and cared for. Overcome judgment and self-sabotage and begin the journey to self­ acceptance… even self-love! Learn to express yourself clearly from your heart, so you can build relationships based on your true self (NOT the personality you created to please others). Balance your life by re­-aligning with goals that serve both your spiritual and your material needs. Forgive and release the past – so you can move forward with grace. Awaken an unshakeable faith in yourself… an ability to stand firmly in your truth, and own who you are with confidence. Discover that the love you’ve been seeking has been inside you all along – and remove any blocks that have been getting in the way. Most of us have yet to accept ourselves, let alone love ourselves. In this module, you set yourself free of your harsh inner critic – so you can finally embrace who you are and cultivate soulful, loving relationships, starting with yourself. Are you afraid to speak your truth for fear of not being “good enough?" In this module you stop compromising who you are, and let yourself be seen for the real you. This reconnection to your true self clears the path to create deep connection in all your relationships. Forgiveness releases you from the past and allows you to move on with grace. In this module, you shake off residue from hurtful experiences from your past and flush your system of the heavy energies of anger and disappointment, to take back control of your own happiness. When you feel unworthy of love, you attract relationships that prove what you believe. In this module, you build back your self-worth with third chakra activation. You will remove your internal blocks to love, and ultimately realize that nothing is lacking. A balanced heart chakra allows you to experience a balanced life. In this module, you break the “worry cycle” of material success – and instead focus on the soul satisfying work of bringing your gifts and talents fully to the world. Doubt is one of the greatest obstacles to having the loving relationships you desire. In this module, you clear your self-sabotaging doubts, while you activate and rebuild trust in your intuition so you can learn to love fearlessly. Quiet the busyness of your mind and learn to access your intuition (the voice of your soul). Feel more connected to who you really are – distinct from the voices of your parents, your teachers, your partner, your boss, and society. Trust yourself again, and feel confident you’re making the best life choices for you. Feel more calm, clear, and focused on a daily basis… even when you’re faced with challenges. Reduce cravings and release addictive tendencies. Experience the benefits of meditation firsthand, and develop a daily practice you can stick to for life. Have more energy and vitality, and feel physically and emotionally lighter than you have in years. On Day One you experience an accelerated cleansing of the subconscious to release unprocessed emotion that unknowingly drives your behaviour, creating self-sabotaging patterns and blocking your potential for change. On Day Two you come to understand the yogic concept of the “three” minds, and discover how a balanced mind serves your soul. You will specifically focus on the Negative Mind which if left unbalanced will block your success and fulfillment by filling you with anxiety, fear and self-doubt. On Day Three you experience the fastest way possible to balance the Positive Aspect of your mind to become action oriented and seize opportunity. You will establish a firm connection to your intuitive mind to access wisdom far beyond your intellect. On Day Five, you tap into the voice of your soul and learn to distinguish it from the voice of your ego through understanding its very distinctive characteristics. On Day Six you discover the most powerful meditation tool for self-discovery and learn the techniques to establish self-discipline and create your greatest breakthroughs. Between each course you will receive two additional 30-minute Kundalini Yoga kriyas (exercise sets) to further integrate the work done in the course just completed – and prepare you to receive maximum benefit from the next course. When you enroll in the complete series, you’ll be added to an additional private Facebook group for group discussion and Q&A between sessions. This will help you to maintain your momentum, and feel fully supported every step of the way. Full access to Gloria Latham via the professional course platform, private Facebook group and direct email – to ask questions, and receive additional support and personal insights not offered anywhere else. Fourteen 30-min Kundalini Yoga practice videos – to solidify the changes experienced in the first six days of each immersion and to facilitate each 40 Day Integration period. Thirty Kundalini Yoga Meditations – including four, specifically selected 40 Day Meditations that are pivotal for establishing the life changing practice of daily Sadhana. Password-protected members’ portal where you can access all of your materials in one place – from anywhere in the world. This course platform is easy to use, and is a safe and sacred space to get your personal questions answered. Private Facebook group to connect with-and create deep and soulful community that will uplift, motivate and support you during your course and beyond to future online trainings and worldwide destination retreats. Credit toward your 200-hour or 500-hour Yoga Alliance Teacher Training Certification. Please contact us to confirm eligibility or to find out more about becoming certified as a Kundalini Yoga Teacher. Lifetime access to your program materials and FB group -You’ll be invited to join all future Self-Mastery Series sessions, as well as be able to pop back into the course platform for a refresher anytime you like. The full Self-Mastery Series, includes a total of 40 completely unique Kundalini Yoga Kriyas, with BONUS fresh live classes available to you each time the program runs. Rapid personal growth as you clear your blocks and awaken your untapped potential (Kundalini Energy) to overcome the limitations of your mind. Exclusive bonus classes, and early bird access to future online and destination training.
" I had no idea of what I was getting into when I signed up for the year doing all 4 series in the Self-Mastery Series. I was compelled to dive into the deep end. It felt like my trusted little voice inside dared me to do this. Simply put it has changed my life. 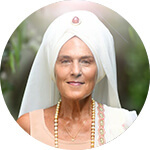 Gloria is a Kundalini artist, a chakra musician. Each Immersion slowly opened and revealed my self to my self. Gloria has such a deep sense of how the chakra energies work, how to free blockages and clear them. She taught us how to nourish them, how to be our own caretakers. The Lessons are focused, intense and liberating in a 'you know you are moving inner stuff around' kind of way. The worksheets guided me and opened me to places I hadn’t been to before, or wanted to go to before and the meditations have become the most precious time of the day for me. It’s the most magnificent adventure of my lifetime and I am so grateful for the doors Gloria has managed to open for me and for so many of us." This Self-Mastery Series will challenge you on a physical, mental and emotional level. It will challenge you to change your life and heal your relationships for good. What results can I expect from the Self-Mastery Series? I’ve witnessed students experience transformation in every area – from their careers to their relationships to their sense of confidence and well-being – by committing to doing their “inner work” in these transformational courses. You will feel more clear and calm, and experience reduced cravings and addictive tendencies. You will have more energy and vitality and feel physically and emotionally lighter than you have in years. The time commitment is minimal but the results can be profound. I’ve never done yoga. Can I still participate in the Self-Mastery Series? Anyone can do this practice. Unlike other forms of yoga, there isn’t a sequence or a flow that you have to keep up with. You can make it as intense or as easy as you need it to be by making minor modifications. The time commitment to complete each course within the Series is minimal, but the results are immediate, profound, and lasting. The Series teaches you to stop letting yourself be limited by your mind and the stories it creates, and access the wisdom of your intuition. The benefits of a daily spiritual practice will positively impact everyone in your life, so put your guilt aside, pull out your calendar and block off 90 minutes of time for 6 consecutive days-for each segment of the course, followed by 11 minutes a day for 40 days, starting February 16th. You will have lifetime access to your course materials and the private Facebook group. This means you have complete flexibility as to when you complete the program – and may even choose to participate again with future groups. Can I spread the courses out over a longer period of time? You won’t experience the same results by spreading the courses out over time. This dilutes the power of the practices, and unnecessarily delays your achievement. No one has ever had more than 24 hours in their day. Some people are able to use these 24 hours to achieve great things and fulfill their soul purpose – while others remain feeling unfulfilled. Doing this program may require early mornings or late nights, but I promise you it’s worth it. Allow yourself to experience the success that comes with a deep immersion into Kundalini Yoga. Can I complete the Self-Mastery Series on my own time? Ideally, you want to participate with the live groups for the accountability and support that comes from working with like-minded people. However, you will have lifetime access to your course materials, which means you have complete flexibility as to when you complete each course – and you may even choose to participate again in future sessions. You’ll also be added to a special alumni Facebook group, where you can continue the conversation after each course is done. When will the Self-Mastery Series be offered again? The full series at this special rate will not be offered again for one full year. I've never done an online course. How does it work? You’ll receive private access to an easy to use online course platform. Your video lessons and worksheets are organized by day, and there is a special discussion area to support and inspire your fellow students. Regular email reminders will help you stay on track throughout the Series, and additional discussion and support will take place in our private Facebook group. After you purchase the Series, please stay on the purchase page and you will be redirected immediately to my learning portal, where you will be asked to create a username and password for the program. If for some reason you exit the page before you are redirected, don’t worry – an email will be sent to you with your tax receipt and a link. Once you click on this link, you will be redirected to the learning portal and asked to create your username and password for the course. If you don’t receive the email, message info@semperviva.com and we’ll get this right over to you.